The Fifth Element keeps its eye on entertainment above all else, which led to its enduring legacy. 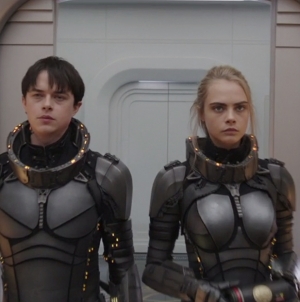 Luc Besson’s love of the French comic series Valérian and Laureline has received quite a bit of press recently with the release of his feature film adaptation of the property, Valerian and the City of a Thousand Planets. But that series profoundly influenced many projects before Besson’s recent adaptation, from George Lucas’s Star Wars to Roland Emmerich’s Independence Day to Besson’s own 1997 film The Fifth Element. In the early ‘90s, Besson was such a Valérian and Laureline fan that he hired its co-creator, Jean-Claude Mézières, to produce concept art for a science fiction project that Besson had been working on in some capacity since the age of 16. It took several years for him to gather the funding for that project, and the international success of his 1994 assassin-thriller Léon: The Professional helped him in securing it. With the funds in place, Besson brought Mézières back in and together they worked on the audacious designs that would soon serve as the settings for The Fifth Element. Though heavily influenced by Valérian and Laureline in terms of story and particularly visuals, this was not an adaption. Besson thought that perhaps a film adaptation of that comic series would be too ambitious. In the end, this was likely a good thing, as The Fifth Element is a much better film than Valerian. While the latter film succeeds in terms of its visuals and little else, The Fifth Element remains effective 20 years later because of the way it weaves together stunning visuals, a lighthearted tone, pulse-pounding action and palpable chemistry between its two wildly dissimilar stars, Bruce Willis and relative newcomer Milla Jovovich. At its core, the film hinges on a good-versus-evil yarn gussied up with some science fiction mythology. In the 23rd century, a cab driver (Willis) has his life turned quite literally upside down when a beautiful, mysterious young woman (Jovovich) falls through the roof of his car. As it turns out, she is actually the “fifth element” who must be united with the other four elements to protect mankind against encroaching evil. While it contains unique flourishes, the story follows a relatively familiar beat, which ends up benefiting The Fifth Element. While Valerian gets quite bogged down in the complicated mythology of the original comic series, and as a result narrative confusion ends up distracting from the film’s strong points, The Fifth Element’s relatively simple plot allows viewers to focus on the visual splendor, humor, action and performances. Korben Dallas is nearly in Willis’s stoic wheelhouse, but the character is given extra zing by peroxide-blond hair, neon clothes and more lighthearted, slapstick reactions than those you would find in the Die Hard franchise, and he’s matched by Jovovich’s orange-tressed, barely-dressed Leeloo. Korben’s surly world-weariness fits magnetically with Leeloo’s wide-eyed mix of terror and excitement, creating a disparate and intensely likable onscreen duo. They’re aided admirably by Gary Oldman as the villainous Zorg, Ian Holm as the wacky Father Vito Cornelius and Chris Tucker as androgynous galactic radio host Ruby Rhod, who really deserves his own spinoff. While the protagonists of Valerian occasionally come off as a bit dull in comparsion to the visual marvels unfolding around them, each of The Fifth Element’s key characters are supported by the film’s electric visuals rather than buried under them. Part of this is due to Besson’s exciting script (which he wrote with frequent collaborator Robert Mark Kamen), but it’s also a credit to the performances themselves, which are over-the-top when necessary but reined in successfully elsewhere. The film holds up today in part because the visuals were already a bit cartoony, marrying creativity with technology in that way that allows the mind to more easily suspend disbelief. 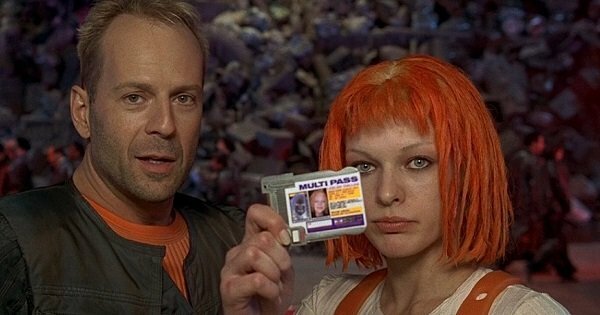 The age is visible, but in a way, it adds to the The Fifth Element’s comedic sensibilities, gifting the film with a Who Framed Roger Rabbit? kind of slapstick. As a filmmaker, Besson is at his best when he doesn’t let his ambition get in the way of his lean, mean storytelling style. Films like Léon: The Professional, Taken and Lucy all succeed because the action soars even when the coherence dips, and The Fifth Element does this just as well, if not better, than any of those other films. Besson could easily have indulged in all of the possibilities that special effects provided, but The Fifth Element keeps its eye on entertainment above all else, which led to its enduring legacy.